There are few things I love more than a loaf of fresh bread, especially smothered in butter and homemade jam. While I have a few trusty recipes I use as my go-to—namely this one and this one—I also love to experiment with new ones. Lately I've been making a new soft-crusted sandwich bread that I absolutely love—it's tender but still hearty, and I also think much more filling because the dough is enriched with milk and eggs. (Those are totally optional, but the texture is definitely different without them.) According to the Smitten Kitchen recipe this can also be a refrigerated dough, but I've not had success with that as the dough itself isn't moist enough and develops a spongy texture when I try to refrigerate it. If you left out some of the flour and allowed it to be a stickier dough that didn't hold its shape at all, then it would be great in the fridge. So far, I've just been making batches of this and then freezing extra loaves for super low-maintenance bread for days at a time. 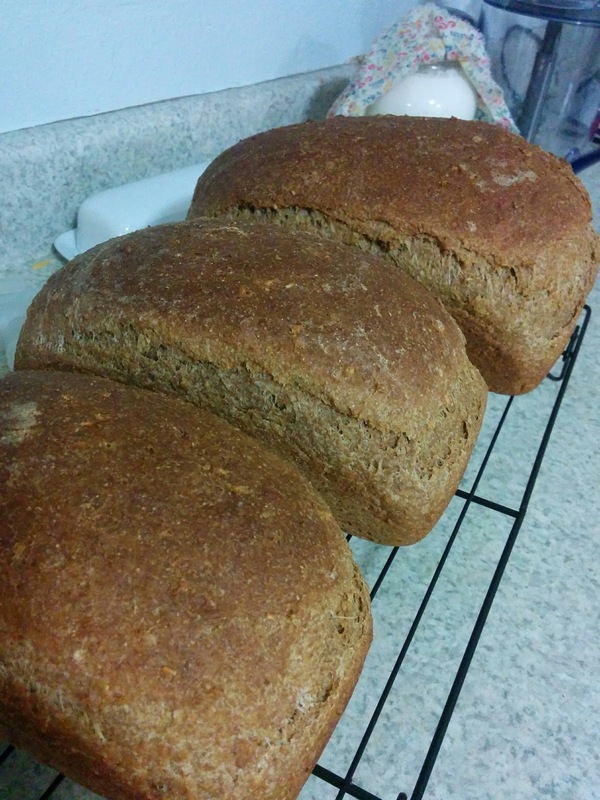 This recipe yields two loaves, but I've also doubled it for four or 1 1/2'd it for three. When I did 1 1/2, I still just included two eggs. Protip: Don't let your toddler spit in the bread dough. I'll let you guess whether or not that happened here!